Your portrait session with George DeLoache will be one of the most unique experiences you’ll ever have! Your portraits will be created by this legend of portraiture who has been commissioned by discriminating clients for over 40 years. 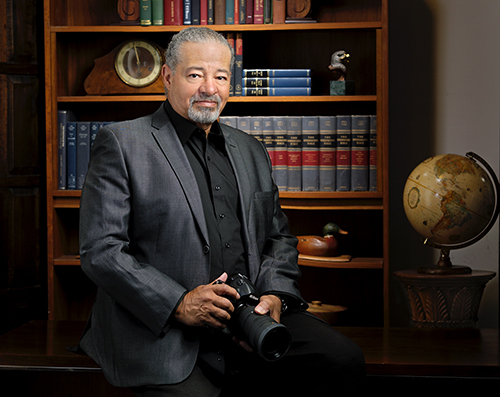 The awards, accolades and honors that George has received are too many to list and quite frankly, what motivates George the most are the smiles, tears and speechless moments after his clients see their images for the first time. George is proud to have created images for hundreds of musicians, actors, business people, artists, politicians, families and citizens just like you! Years have passed since the days of my youthful exuberance over the photographic image, years in which the passion has only intensified. As years go by, I find myself more and more enthralled with portrait photography; portraiture not purely as a reflection of reality but portraiture as an art form. I would love to create a portrait with you. Call me and let’s begin. My mission is to create images for those clients who desire the very best!